Senior director, corporate affairs, Levi Strauss & Co.
From Gap to Yahoo to Levi Strauss, Amber McCasland has held leadership positions at a number of top consumer brands in the apparel and technology fields. Her successful track record includes leading major global campaigns as well as complex internal transitions, both in the US and abroad. As a senior director of corporate affairs for Levi Strauss & Co., McCasland manages external storytelling for the 162-year-old company, including strategic media outreach, community affairs, crisis communications, and content strategy. Since taking on this role two years ago, she’s doubled Levi’s audience reach each year and strengthened the iconic brand’s reputation by showcasing its sustainability stewardship and telling the turnaround story. Her efforts resulted in the company’s first feature story in Fortune in a decade, as well as a CBS This Morning profile, and a front page Financial Times piece. The company also improved its standing among apparel companies on Fortune’s Most Admired Companies list, moving to number five from eighth. 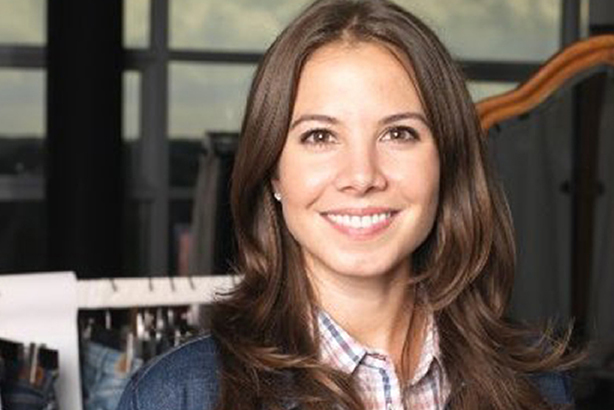 And under her direction, Fast Company named Levi’s to its most innovative companies list. She’s established herself as a trusted adviser to CEO Charles Bergh, helping to shape his public profile. He selected McCasland to step in as interim CCO for eight months at one of the most important times in the company’s history. It was a smart choice. She oversaw a team of 30 while managing sensitive events such as the Bangladesh factory collapse that put the spotlight on overseas manufacturers, as well as successes such as winning the naming rights to the San Francisco 49ers stadium and opening the first San Francisco–based R&D lab. "Amber’s ability to tackle key business objectives head-on, motivate her team to produce top-tier results, and commit to her work is unique," says a colleague. "She is passionate about the contributions her team has made to the company, seeing it as a key influence on future growth." At Yahoo, McCasland established an international technology PR function, bringing together decentralized teams across 20 markets. Later, she led the company’s internal communications for Europe from London. She also spent time in corporate communications at Gap and five years in the trenches as an account executive at Porter Novelli.